They both have so much to lose will they be able to save each other… and survive. First off, I have not read the previous books and I highly recommend that you do, as I had a much more difficult time figuring out who was who. Also, the names are very similar, so I continuously had to backtrack to figure out who was being spoken about because I wasn't familiar with their names, backgrounds, etc. Honestly, I almost didn't finish this story. Not having the background made jumping into the story very tricky. Valentin is an assassin. The deadliest, most brutal assassin that is within his group. Despite his demeanor, he's really a slave. He is injected with brutal drugs, forced to please his mistress, and kill whomever she wants killed. When he was younger, he and his sister were kidnapped from an orphanage – taken prisoner, held hostage, and forced into their own slavery. Killing for him, sexual slavery for her. Valentin never forgot his promise to his sister, and he continues to live in a prison of unimaginable horrors as he tries to figure out how to keep his sister, Inessa, safe from Mistress. Zoya is living in a prison of her own. She has been sheltered all of her life because she was supposed to have been killed at the age of 5. The rest of her family was slaughtered in front of her and those loyal to her family hid her away and raised her. When it is discovered that she is not the only living relative, the search begins. Can she find her brothers? 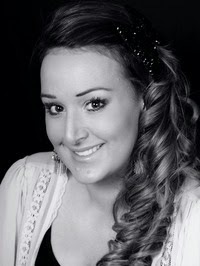 The brothers who were taken from her? Just as she's about to find Zaal, her brother, she is abducted by Valentin. This begins their strange tale of torture, breaking each other down, putting each other back together again, and figuring out how to survive in a free world. There is a lot going on in this story, but at the heart, it is about two people who learn to live free of the confines that were placed on them when they were just kids – can they figure it out enough to forgive those around them, love themselves, and learn to love someone else? 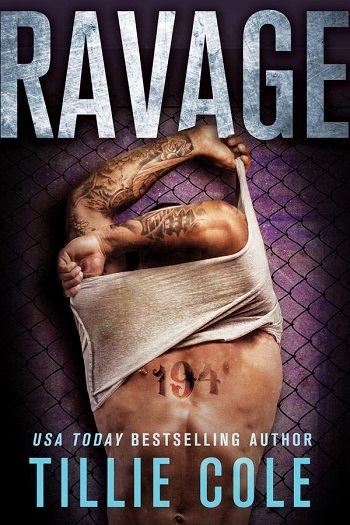 Despite not knowing if I could finish this story, by the end, I couldn't put it down. I can't wait to see if there is more to their story and to see who else discovers a way through hell. I liked the content – it was well developed, steady, fast paced, and there was a lot going on. 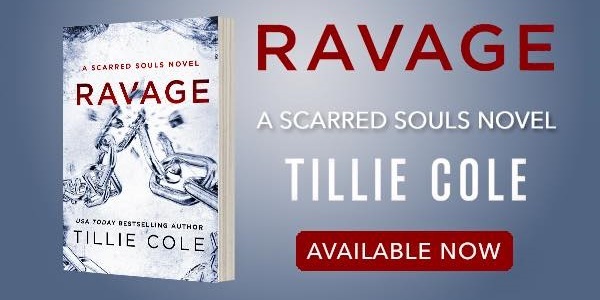 Reviewers on the Wicked Reads Review Team were provided a free copy of Ravage (Scarred Souls #3) by Tillie Cole to read and review.